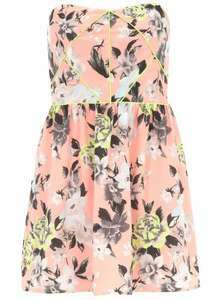 Coral and lime printed bandeau dress with piping detail. Approx length 60cm. 100% Polyester. Machine washable. Is it just me or is it a bit creepy that the model has her head cut off?